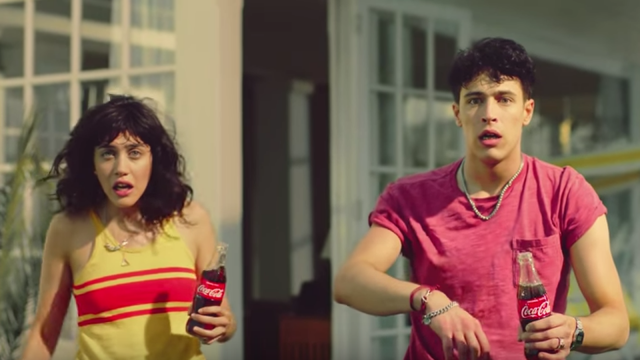 Equality is in the spotlight again in a new Coca-Cola ad, this time featuring a brother and sister fanning over the same pool boy. Both siblings rush to give the handsome pool boy an ice-cold Coke, only to find that their mom has beaten them to the punch. This new ad is just one of many form Coca-Cola with a nod to the LGBTQ community. Michael Sam starred in Coca-Cola’s “#MakeItHappy” campaign in 2015. Academy Award Winner Dustin Lance Black, who won Best Original Screenplay for the film Milk, wrote and directed an ad for Coca-Cola in Latin America focusing on anti-bullying and young love. Coca-Cola also made a powerful statement about diversity and inclusion with their Super Bowl ad this year. Coca-Cola’s commitment to LGBTQ issues goes beyond TV ads. Coca-Cola condemned Georgia’s discriminatory SB 129, the state’s Religious Freedom Reformation Act, in 2015. The company also spoke out anti-LGBTQ legislation in North Carolina and Mississippi and signed onto HRC’s Business Coalition for the Equality Act. The Coca-Cola Company has a strong record of supporting LGBTQ equality and received a 100 on HRC Foundation’s 2017 Corporate Equality Index (CEI). The CEI is the national benchmarking tool on corporate policies and practices pertinent to LGBTQ employees. As a national corporate sponsor of HRC and an HRC Foundation funder, Coca-Cola has generously supported HRC’s work and has continually demonstrated a high level of commitment to equality.